Who is Jackson Lee? He's the real life 'Son of Mars,' so it makes sense that he'd eventually have an opportunity to add his personal touch to the Spizike's offspring. 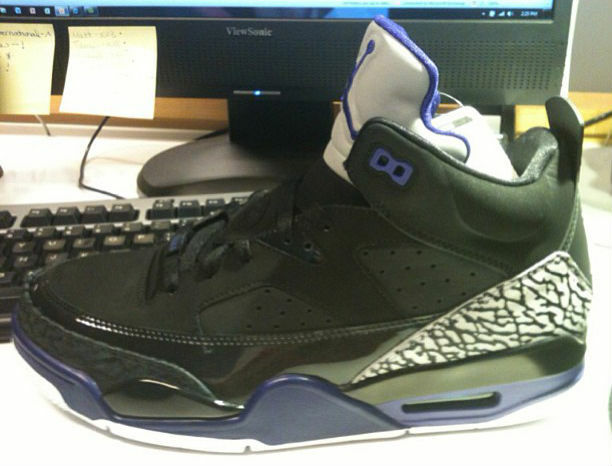 Shared by Jackson and seen below is what he's calling the Jordan Son of Mars Low. The shoe combines elements of Air Jordans III, IV, V and VI in a slightly scaled down package with no midfoot cross-strap. According to Jackson, he's responsible for the design as well. Launch date is unknown at the moment, but we'll keep you updated here at Sole Collector. In the meantime, let us know what you think. Cop or not?